Welcome to the YES Group London Basket Brigade! Whether you’re a seasoned veteran, or a newcomer who has only just heard about the Basket Brigade, we hope you’ll be joining us this year on December 23rd for another wonderful day of fun and contribution. As usual, we’ll be packing food hampers and then delivering those hampers as a wonderful Christmas surprise to unsuspecting families in need. To do this, we need your help! 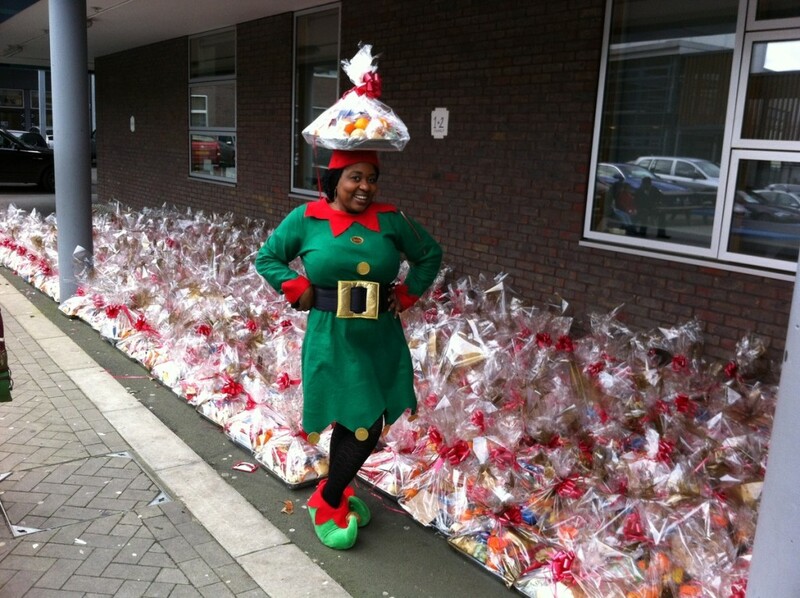 The YES Group London started delivering food baskets to families in need at Christmas 22 years ago. As a non-profit (registered as a Community Interest Company) organisation inspired by the work of Anthony Robbins, we wanted to align ourselves with Tony’s Foundation with their mission to feed families who struggle to put food on the table. The idea of Basket Brigade first began in the US nearly 40 years ago when Tony, aged 17 at the time, fed two families on Thanksgiving Day. Two became four the following year and then eight the year after. Soon Tony was enrolling people to help him deliver more food baskets every year on Thanksgiving Day. Tony’s passion and drive to provide those less fortunate with a decent meal on Thanksgiving Day has now become the International Basket Brigade, which is managed and driven by the Anthony Robbins Foundation. Every year thousands of volunteers come together in hundreds of locations around the world to participate in their local Basket Brigade and so provide baskets of food and household items for an estimated 4 million people annually. 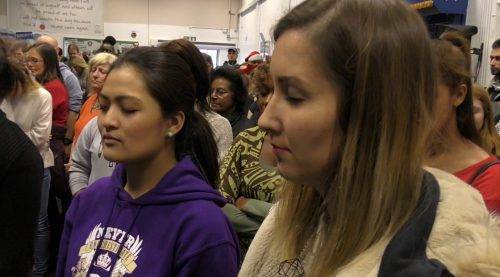 The YES Group London works with the Anthony Robbins Foundation every year to make this happen for the needy in London. 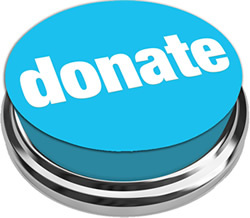 Basket Brigade relies 100% on the donations and sponsorship of our members and the communities they are a part of. Everyone takes part on a voluntary basis. We are always looking for help and welcome any suggestions you may have to help us raise more funds. If you have any fundraising ideas please email fundraising@basketbrigade.org.uk. Last year’s YES Group London Basket Brigade had over 500 volunteers and we delivered 1,000 hampers by the time the day was over! We need lots of help this year again! So please share the link to this website with your family, friends and networks and invite them to join you and us on this magical day of contribution. 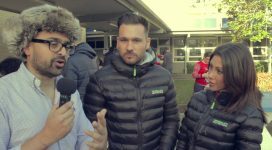 The video above gives you a flavour of last year’s Basket Brigade hosted by the YES Group London. To be part of this year’s London Basket Brigade please sign up and register here. We are also taking donations – just £14 feeds a family of 4! Please give generously. Use the ‘Donate’ button alongside. Thank you! We look forward to welcoming you on this magical day. Everyone is welcome, including children who enjoy joining in with the fun; so feel free to bring yours with too. Change a life and you change the world… the life you change may just be your own! THE COUNTDOWN IS ON FOR 23 DECEMBER 2018! Full details of our London Basket Brigade venue can be found on the Venue page, under the About menu item. 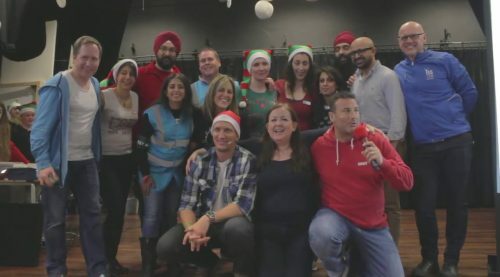 The birth of the Yes Group London Basket Brigade was inspired by the work of Anthony Robbins Foundation. His Foundation’s International Basket Brigade is built on a single simple notion: one small act of generosity on the part of one caring person can transform the lives of hundreds of people. This simple notion has had a resounding and powerful impact that has reached all the way around the globe making a positive difference in the lives of millions of people every year.